An evil witch from the Dark Ages (Milla Jovovich) is resurrected from the dead after being dismembered by Merlin and King Arthur in modern day England - and it's up to Hellboy (David Harbour), agent of BPRD, to stop her. 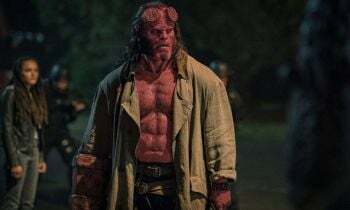 Let's cut right to the chase - 'Hellboy' isn't as bad as you've heard, but it's still very bad. There are enough scenes throughout this ill-advised reboot that will keep you moderately entertained, but they're all sandwiched between some outrageously jarring moments and a pervasive sense that you've seen this movie done before, done better. 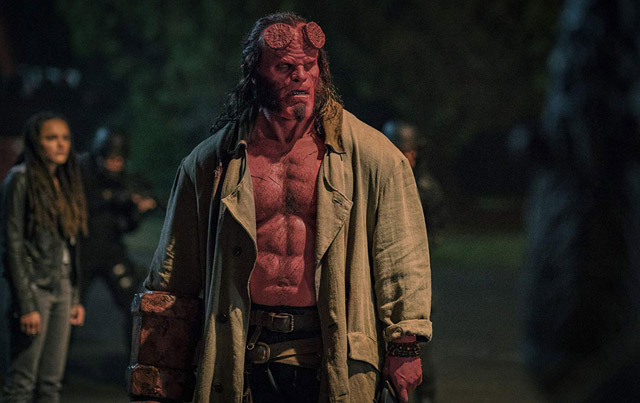 To begin with, David Harbour's Hellboy is a decent attempt at reinvigorating the character - but it still belongs, and will always belong to Ron Perlman. Likewise, Neil Marshall is able to direct competently when he's given the chance and there are enough flourishes here that make for a lot of potential. However, Milla Jovovich is an utterly unconvincing and forgettable villain whilst Ian McShane sleepwalks his way through some of the most flat dialogue you'll hear this year. Not only that, the story itself is so plodding and so predictable that any twists or turns in 'Hellboy' are so telegraphed that you'll spend half the time wondering why Andrew Cosby's script did something different. If the behind-the-scenes drama surrounding 'Hellboy' is accurate, there was no way any of it was ever going to work. Not only that, given how Guillermo del Toro and Ron Perlman poured so much of their heart into the original movies, you can tell immediately from this that it is a soulless and calculated effort. 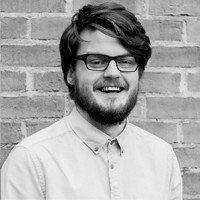 There isn't a hint of art or originality to be found here, just a feeble attempt at hewing something unique to fit an audience that doesn't care about originality. That the movie has two - count them, TWO - post-credit scenes tells you the intended direction 'Hellboy' is aiming for. Trying to apply a comic-book blockbuster mentality - with more swearing and gore - to 'Hellboy' is the exact reason why it failed, and failed big. The comics by Mike Mignola were weird, funny and very often spoke with heart and humour. 'Hellboy' is in desperately short supply of both of these, but tries to make up for it with blood, guts and sneering sarcasm throughout. If that's what you're after, then fine - enjoy it, but know that there's a far better version of this out there.